Powder metallurgy (PM) is a unique, highly developed method of manufacturing ferrous and nonferrous parts. It is a versatile, cost-effective, and constantly expanding technology that is rapidly gaining worldwide popularity. The PM process begins with thorough blending of carefully weighed powdered metals or alloys to produce uniform distribution of the particles. Typical metal powders include bronze, brass, nickel, silver, iron-nickel and various grades of stainless. The resultant blends may include specified quantities of die lubricants, graphite, and other additives. The second and probably most important stage of productions is the compacting or pressing stage. Predetermined amounts of blended powder are fed into die cavities and compacted into the desired shape, size and density. This “green compact” is pressed at room temperature with pressures ranging as low as 12 tons per square inch to as high as 40 tons per square inch, with production presses ranging from 5-100 tons. At this stage the parts have sufficient green strength for in-house transport and handling prior to the sintering operation. Sintering takes place in a continuous belt-driven controlled atmosphere furnace at a temperature below the melting point of the primary metal constituent used. The sintering process bonds the powder particles together metallurgically by atomic transfer. Additionally, it evacuates the fillers and lubricants creating an increase of part strength along with a specific porosity level. Depending on the metal used and tailored density, tensile strength can range from 8,000 psi to 180,000 psi after sintering. What are the benefits of Powder Metallurgy? The advent of so many technological advances in the powder metallurgy field makes it the up and coming low-cost producer of bushings, bearings, and structural parts. The PM process is capable of producing several hundred to many thousand parts per hour with close dimensional tolerances maintained part to part. As a result, only minor, if any machining is required. Complex parts requiring irregular curves, eccentrics, radial projections, or recesses often can be produced only by Powder Metallurgy. Parts that require irregular holes, keyways, flat sides, or square holes that are not easily machined can usually be made by Powder Metallurgy. 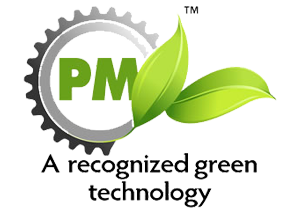 PM provides for controlled permeability and allows for the use of inventive composites with unique properties. There is great versatility with a wide latitude of part shape and design along with extensive material flexibility. To summarize, the PM process provides close dimensional tolerance, minimal machining, good surface finish, and excellent part-to-part reproducibility from moderate to high volume part production.